If you are considering expanding your current business or starting a new one, you will have to obtain certain permits and licenses and follow a certain registration process. There are certain legal requirements that you have to fulfill. If you aren't comfortable for doing this, you can hire lawyers for this purpose. But keep in mind corporate lawyers are different from criminal lawyers. However, if you want to do it on your own here are the few steps that you need to follow to register your business. The first thing that you have to do is to organize your business as a legal entity. You have an order of options for this purpose, where every option has certain financial, legal, and tax-related considerations. There are numerous determinants that you require to take into account to determine a suitable legal structure for your business, such as its financing needs, its vulnerability to lawsuits, and the kind of control you want to have. Further requirements in the registration process will depend on the type of legal structure you have chosen to go for. Therefore, you have to be very concerned with this step. Once you are done with it, you can go ahead and file the appropriate paperwork required to register your business. If it is a sole proprietorship, the name of the owner is by-default taken as the legal name of the business he or she is running. In case of partnership firm, it is the name mentioned in the agreement signed by the partners; if there’s no mention of any specific business name in the partnership agreement, the last names of the partners are considered as the legal name of the business. Corporations, on the other hand, are supposed to register a legal name with the state government. 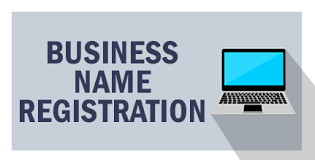 The key point is that you will need to mention this name on almost all the forms and applications that you are required to fill up to register your business. So, you cannot move ahead without this step. The US, Internal Revenue Service, issue an EIN (Employer Identification Number) to those who are operating a business and hiring people as employees. Form SS-4 and Federal Tax ID, Employer Tax ID are some other common terms that are used for Employer Identification Number. It is mandatory to obtain Federal Tax ID to operate your business legally. The laws also require you to obtain certain other permits and tax IDs from the Revenue Agency of your State. For example, you will need a Vendor’s License or a Sales Tax Permit if the nature of your business requires you to collect sales taxes. To operate your business legally, you will need to obtain certain permits and licenses from both your state and local government. For example, if it is a small business, you will need industry-specific operating permits and a relevant business license. The above is a general overview of the process you need to follow to register your business. The exact details, such as the types of forms you need to submit, the types of licenses and permits you need to obtain, and other such things will depend upon the nature of the business you are starting. The legal requirements also vary from one state to another. 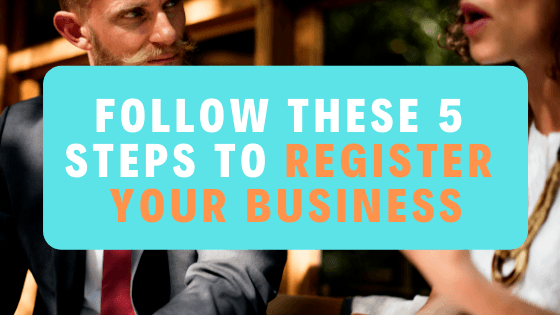 I hope this post "Follow These 5 Steps to Register Your Business" gives you the right information so that you can complete this process at ease. How to Generate Leads for Real Estate Business? How to Make Your Small Business a Large Business?